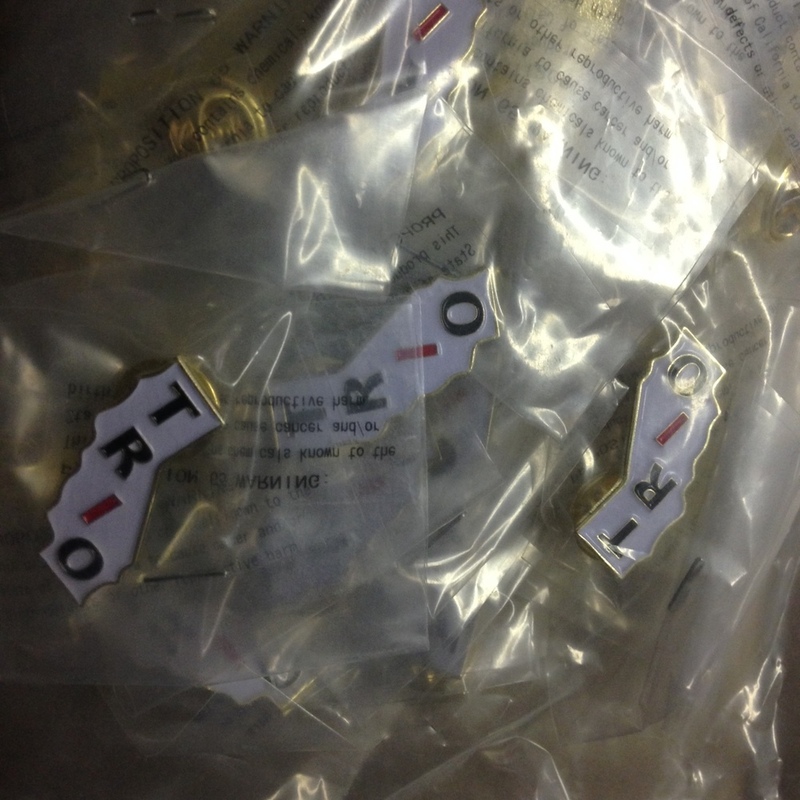 California Lapel Pins. Sold as shown. Bag of 50 pins. “TRO” capital letters in black, with “I” in red. 1″ x ~ 5/8″ Die Struck Lapel Pin. Bright Goldtone Finish. Black, White, Red (PMS 186c) Soft Enamel Colorfill. Individually polybagged.